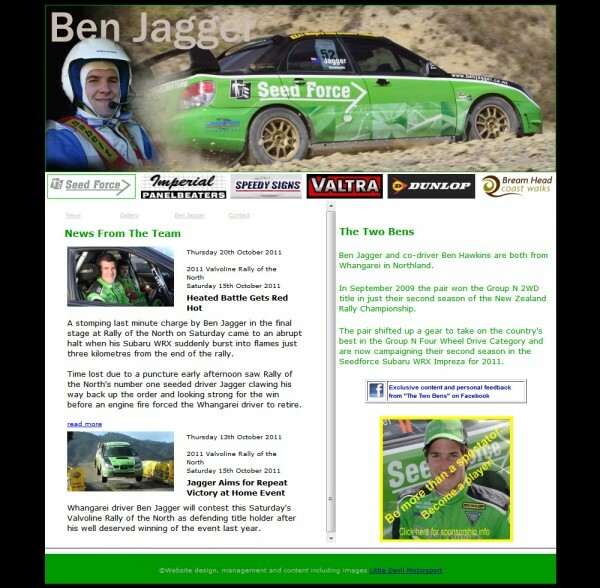 Ben Jagger and co-driver Ben Hawkins are both from Whangarei in Northland. In September 2009 the pair won the Group N 2WD title in just their second season of the New Zealand Rally Championship. The pair shifted up a gear to take on the country’s best in the Group N Four Wheel Drive Category and are now campaigning their second season in the Seedforce Subaru WRX Impreza for 2011.